From Bangkok, take Highway 3049 (Bangkok-Nakhon Nayok). Just 2 km before you reach the Nang Rong Waterfall, turn right to the Khlong Tha Dan Dam. If you have a day left in your trip, we strongly recommend an adventure at Nakhon Nayok River to cool down out of the heat. Originating from Khao Yai National Park, it flows down creating the Nang Rong Waterfall before becoming the Nakhon Nayok River. The river is special as there are 3 slanted rocks, arranged like steps that are about 50 m in length. The water flows onto these rocks creating 1 m wave above. 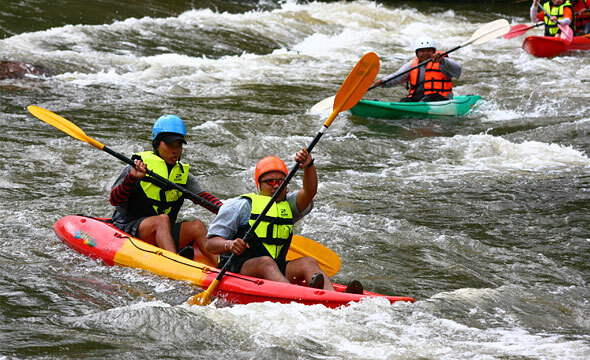 These exciting rapids are a challenge for kayaks and canoes alike. Before reaching the Three Rock Rapids, there is an extremely sharp turn. Adventurers should concentrate on paddling the boat to get through this area. 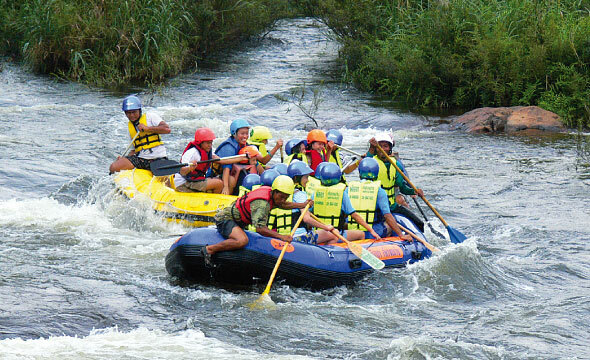 Another charm of the Nakhon Nayok River rafting is the snake-like winding of the waterway throughout the route. 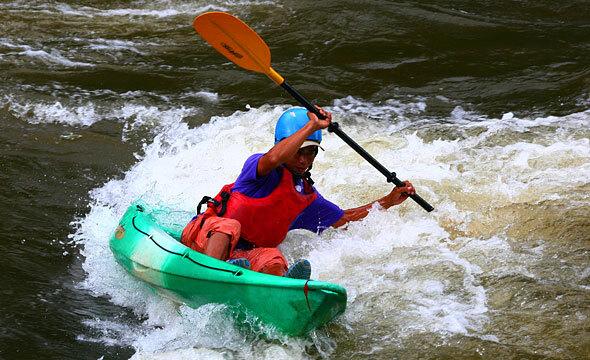 You can enjoy practising controlling your raft, canoe, or kayak all the way to Ban Wang Yao, the end of the route. 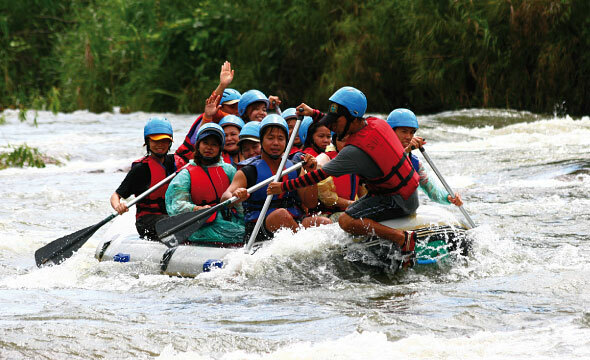 "The stream is released from the Khlong Tha Dan Dam,so we can do rafting all year round." "Bring a change of clothing because you will definitely get wet." "Follow instructions given by your boat captain, and dump garbage in the specified area."